The original inspiration for Trans-Europe Express arrived during lunch. Knowing that Ralf Hütter and Florian Schneider loved transport hubs, friend and Kraftwerk associate Paul Alessandrini took them to Le Train Bleu in Paris’s Gare de Lyon, from where the diners could gaze out at trains leaving for southern France, Italy, Switzerland and the Middle East. 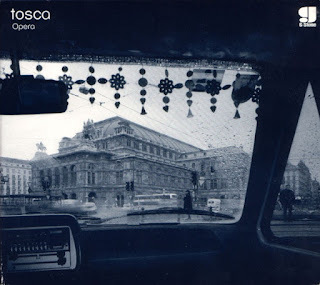 “With the kind of music you do”, Alessandrini told Hütter and Schneider as they ate, “which is kind of like an electronic blues, railway stations and trains are very important in your universe – you should do a song about the Trans-Europe Express.” Germinating from the seed of a paean to pan-European travel, the resulting album came to be dominated by one of Kraftwerk’s great themes: communication. And what was happening on Earth in 1977? Well, in terms of the music industry it was getting gobbed over by punk: a back-to-basics return to the primal essence of rock’n’roll that was the antithesis of Kraftwerk’s mission to propel their sound forward via the most up-to-date equipment available. Valuable as it was in inculcating the DIY ethic that would go on to generate more interesting music in the post-punk era, from a purely sonic perspective punk itself was, as Simon Reynolds argues in Rip It Up and Start Again, a Luddite return to riffs Chuck Berry had originated 20 years earlier. Kraftwerk, by contrast, celebrated the year punk rock broke with an album that would at length give birth to New York electro, New Wave and New Romantic synthpop, Detroit techno and, by extension, the musical world we live in today. If you’re into any kind of contemporary popular music other than jazz and folk standards or indie retreads of The Kinks or The Yardbirds, then you’re listening in some way, shape or form to a musical language originally articulated by Trans-Europe Express. Kraftwerk’s originality proved irresistible to David Bowie, whose move from LA to Berlin in 1976 was at least partly inspired by his love for their art. His relocation resulted in the most extraordinary year of Bowie’s career: in 1977 he released the peerless Low and ‘Heroes’, and for good measure produced and co-wrote Iggy Pop’s The Idiot and Lust for Life. Prior to this Kraftwerk had declined to support him on his Station to Station tour (in lieu of having them there he just played their records before taking the stage), but they name-check him on ‘Trance-Europe Express’: “From station to station/back to Dusseldorf City/Meet Iggy Pop and David Bowie”. Bowie returned the wave on ‘Heroes’, naming one of his songs, ‘V2 Schneider’, after Florian. Riding above the rattling beat of ‘Trans-Europe Express’ is a rising sequence of synthesiser notes and occasional Doppler shift surges of sound panning across the stereo image. At some point along its length the track achieves, as several of Kraftwerk's best pieces do, a trance-like weightlessness. Some people think that pop is meant to be ephemeral, but here it feels more like a frictionless glide into eternity. Beginning with a euphoric sequence of arpeggiated chords - one of the most bracing album openings of all time - ‘Europe Endless’ is a utopian hymn to a Europe without borders that has its source in another of Kraftwerk’s apparent daydreams: a 20th century without the scar of Nazi Germany scored into Europe’s heart. The song, and the album as a whole, is a musical evocation of the clean lines and carefully calibrated marriage of form and function practiced by the Bauhaus school of pre-war German modernism. ‘Europe Endless’ – and its partial reprise at the end of the album, ‘Endless Endless’ – is a perpetual motion machine in song: as it fades away it gives the impression that it’s not ending at all but continuing its transmission in some other place out of range of your speakers, as boundless as its title suggests. ‘Showroom Dummies’, the title of which was inspired by a journalist’s review of the band’s static live performances, and ‘Hall of Mirrors’, Kraftwerk’s eeriest moment on record, branch off from the album’s main theme and play on concepts of fame, alienation and automation that the band would soon return to. While the relentlessly percolating synth tones of ‘Hall of Mirrors’ convey a sense of paranoia and fear, ‘Showroom Dummies’ offers a slyly humorous take on celebrity ("We are standing here/Exposing ourselves"). Even its measured Teutonic lead-in of "Eins, zwei, drei, vier" is a joke, meant as a deconstructionist homage to the Ramones, whom the band admired. In 1982 Afrika Bambaataa and the Soul Sonic Force’s 'Planet Rock', built from the melody of 'Trans-Europe Express' and the rhythm of Kraftwerk's 1981 track 'Numbers', became a worldwide club hit. 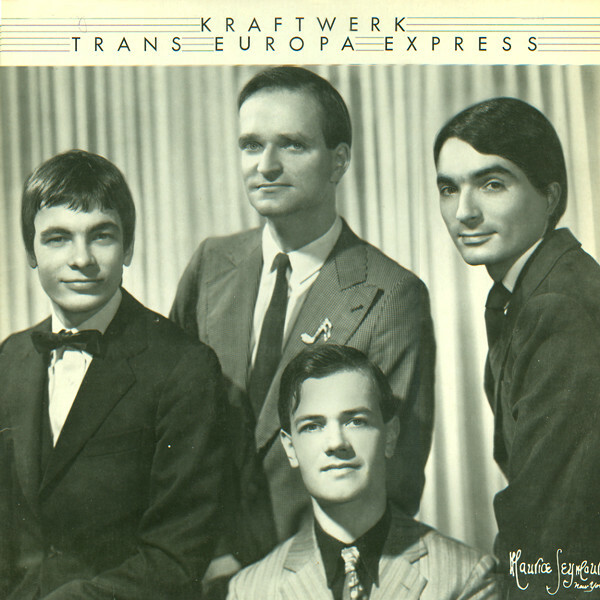 Ground zero for electro, techno and, in turn, pretty much every subsequent dance music variant you could care to name, it proves that ‘Trans-Europe Express’ was, at the very least, five years ahead of its time. Listen to it, though, and it becomes apparent what an insufficient judgement that is. With a ceaselessly mutable quicksilver shimmer, Trans-Europe Express is all at once antique, timeless, retro and contemporary. Its status as modern electronic music's birth certificate is well-earned, but its hallowed reputation should never be allowed to disguise its true value and power as a work of art. Nor should it obscure a longevity that, 32 years on, we might as well start calling by its real name: immortality.